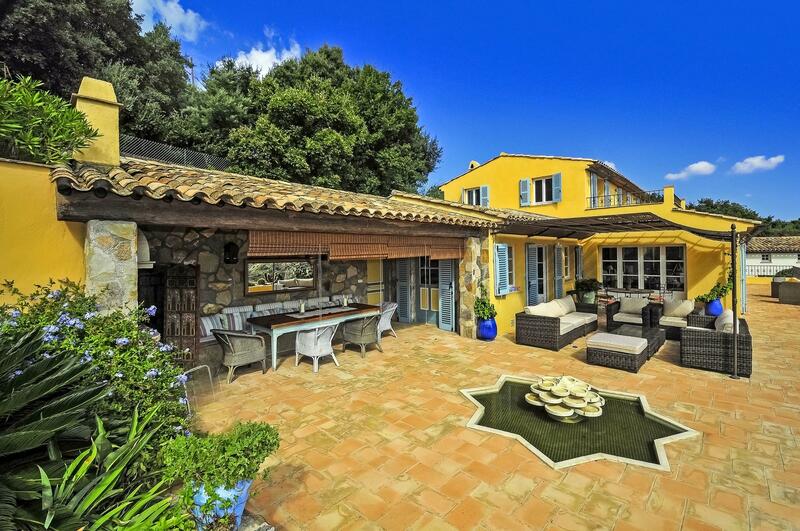 French Riviera luxury villa near Grimaud – Set in a dominant hillside position overlooking the Gulf of St Tropez and Chateau Grimaud, La Radieuse is an elegant property ideally located on the outskirts of the perched village of Grimaud with its restaurants and picturesque Medieval quarter, and a few minutes’ drive from St Tropez and the splendid French Riviera. 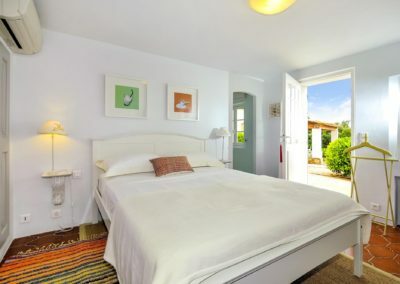 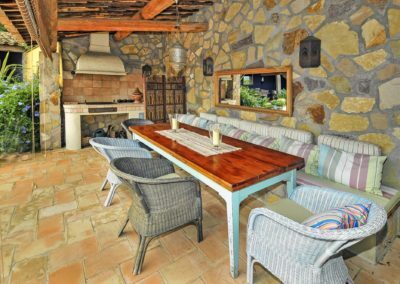 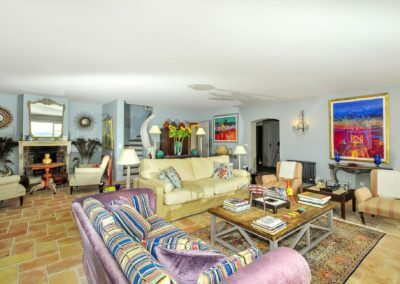 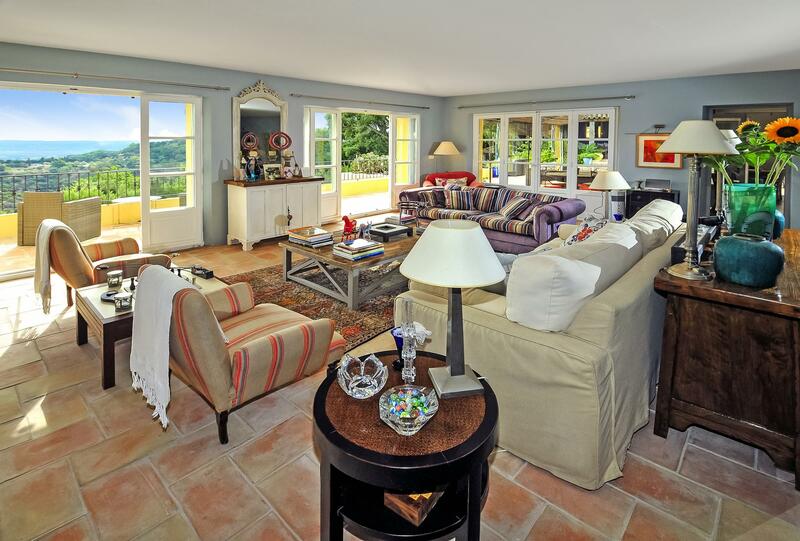 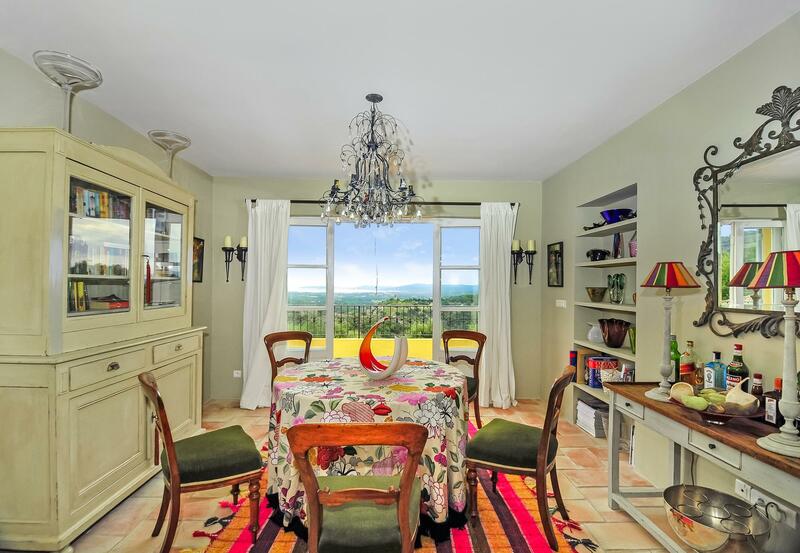 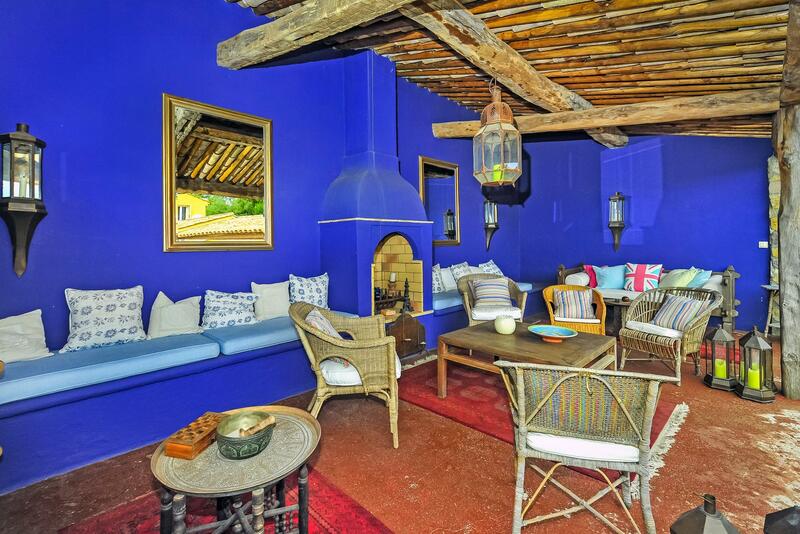 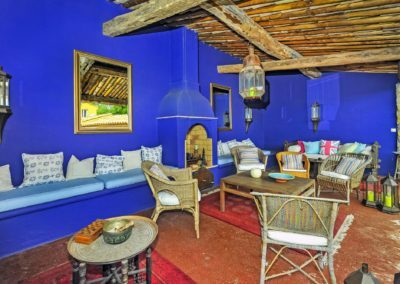 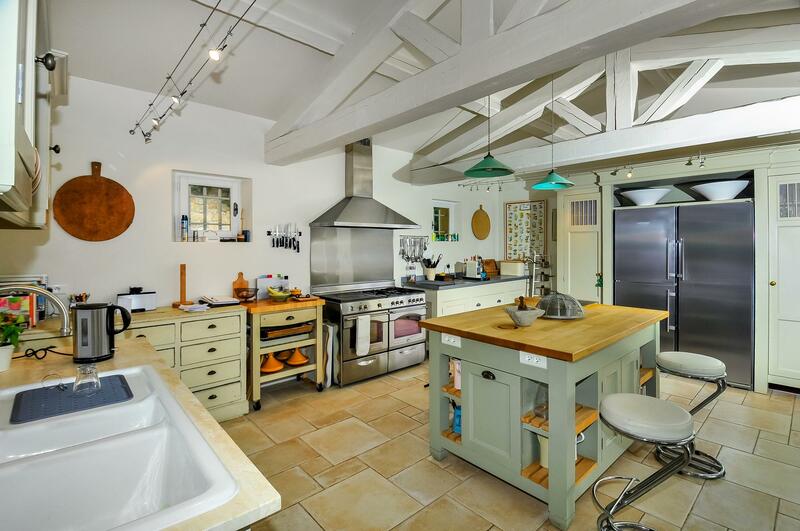 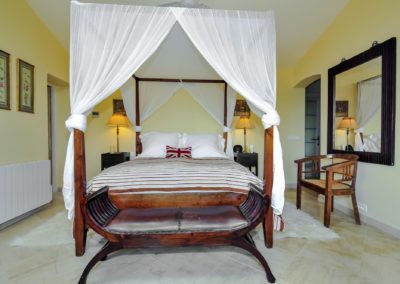 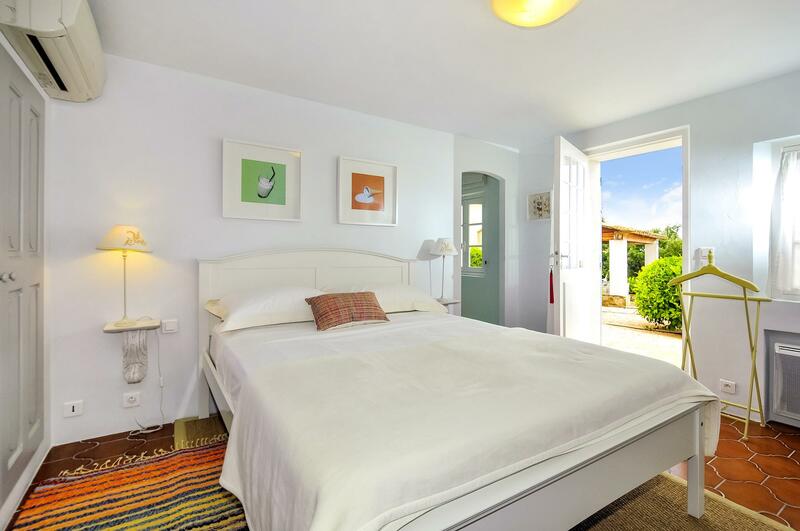 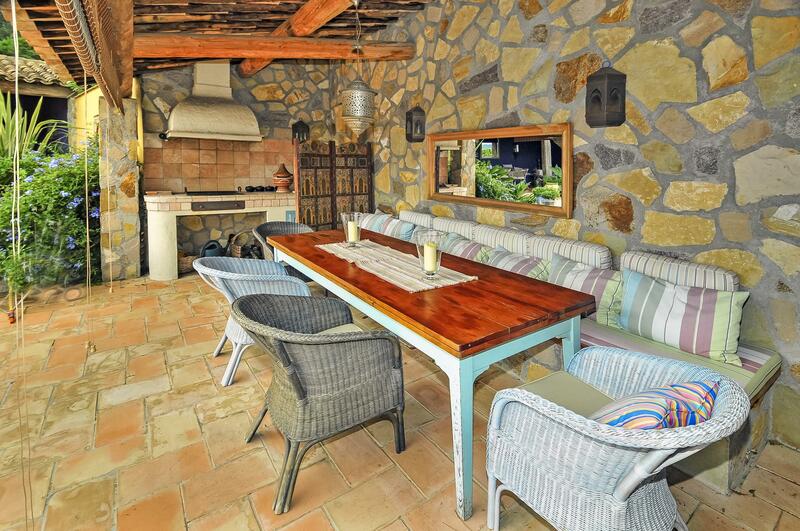 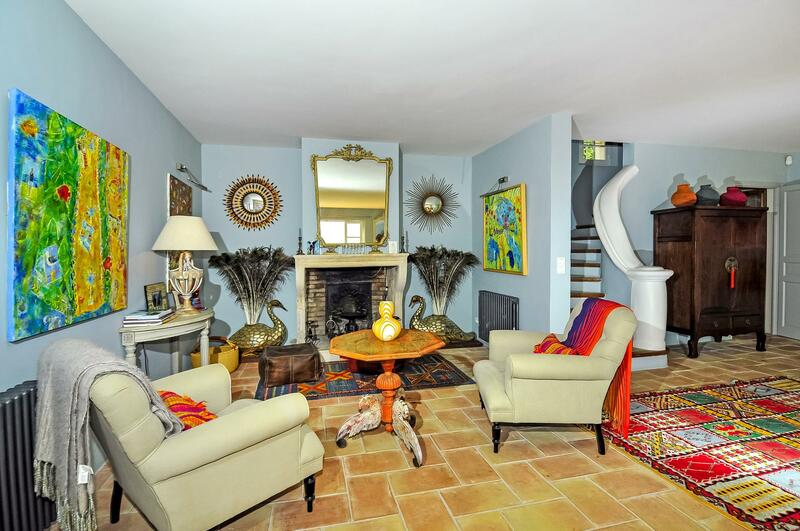 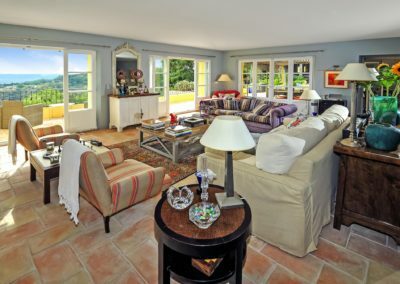 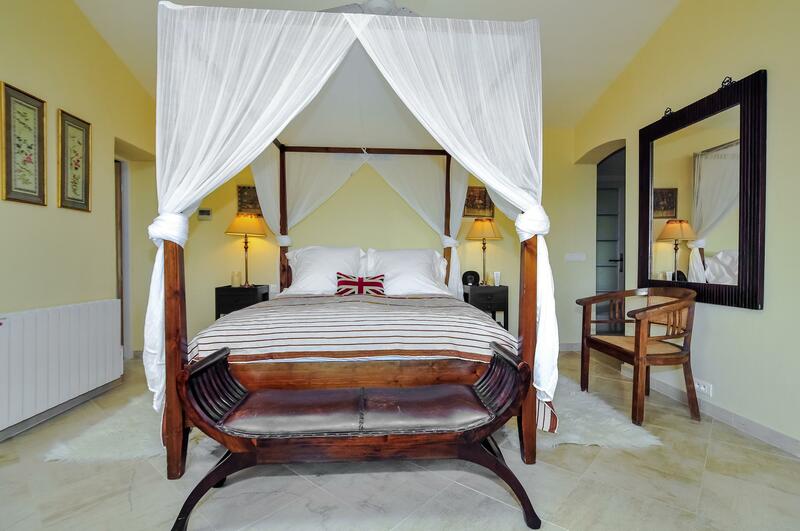 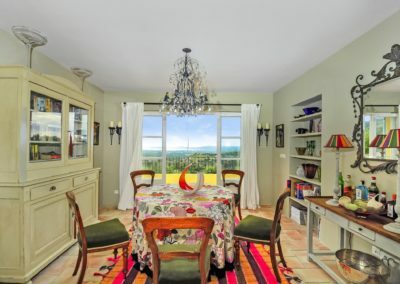 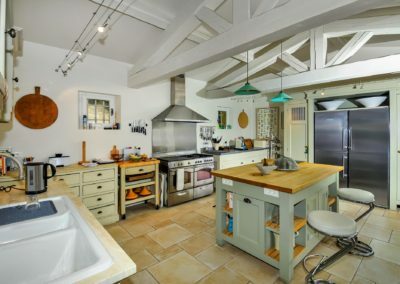 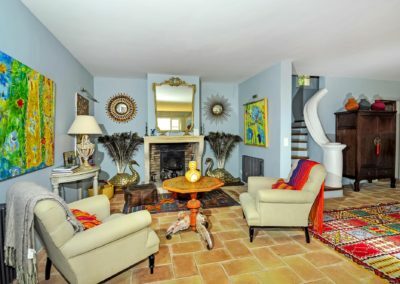 Brightly decorated and furnished with a blend of Southern French furniture and Moroccan features, La Radieuse is a cheerful, substantial property which lends itself to easy leaving both indoor and outdoor. 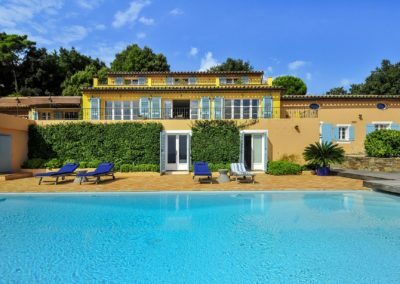 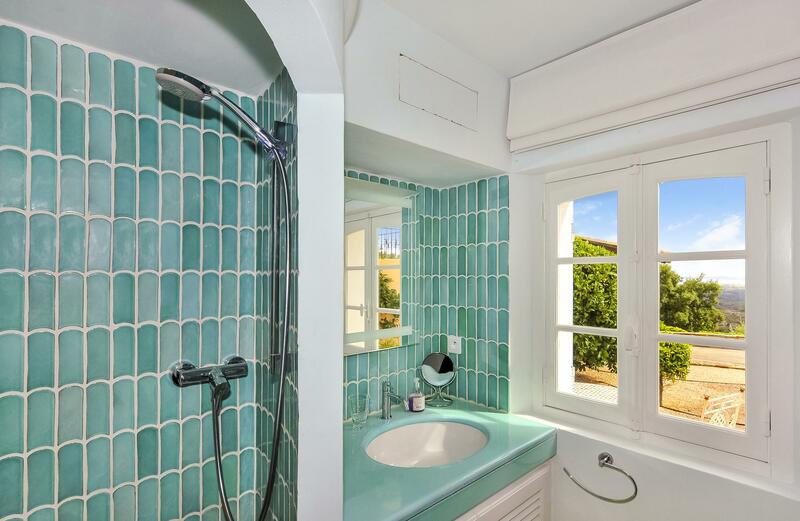 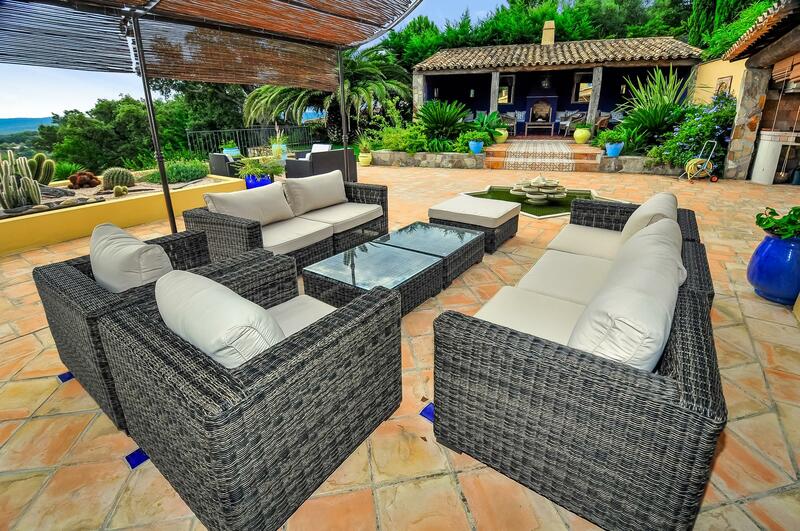 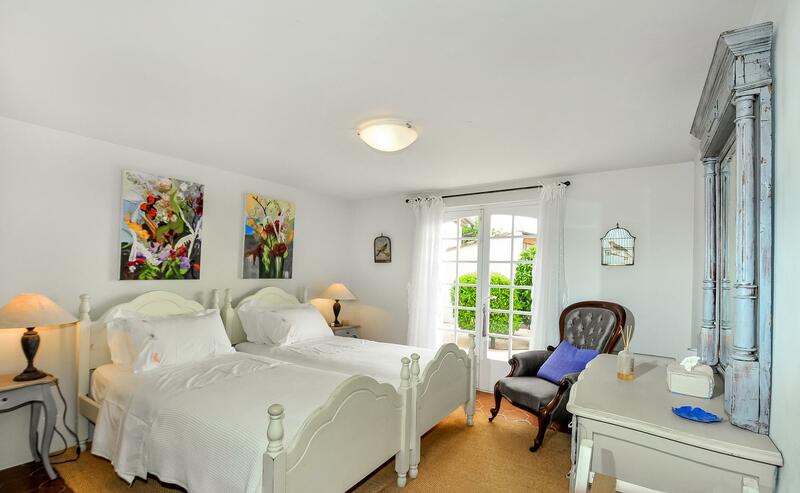 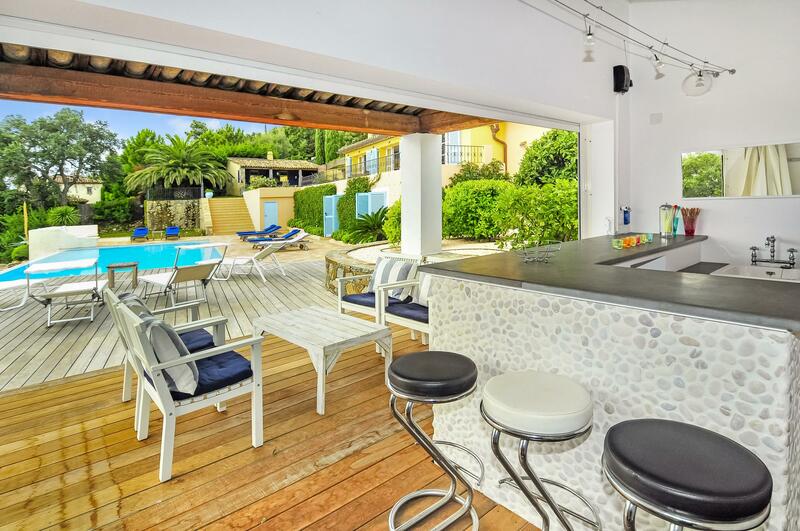 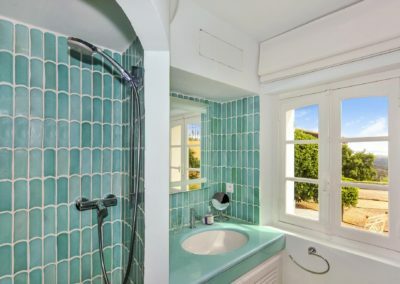 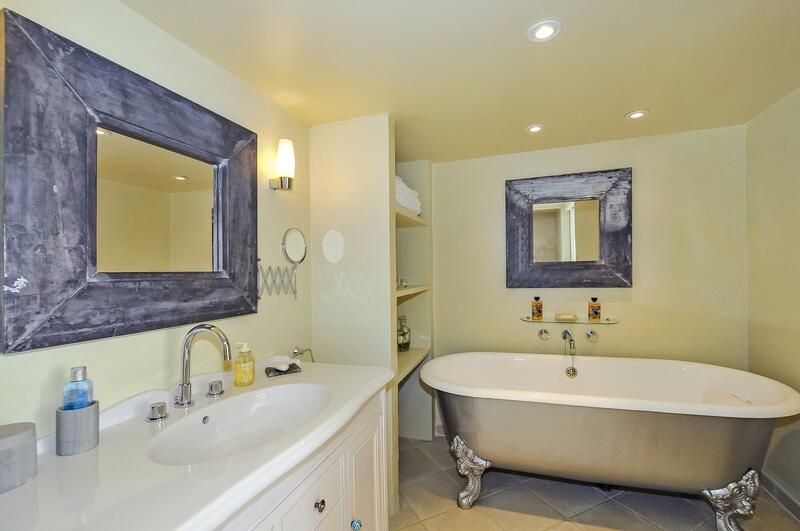 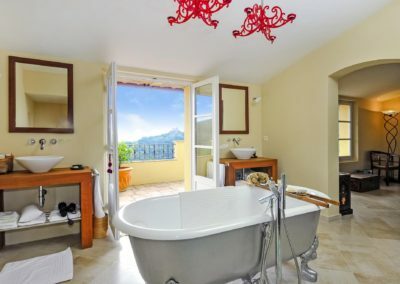 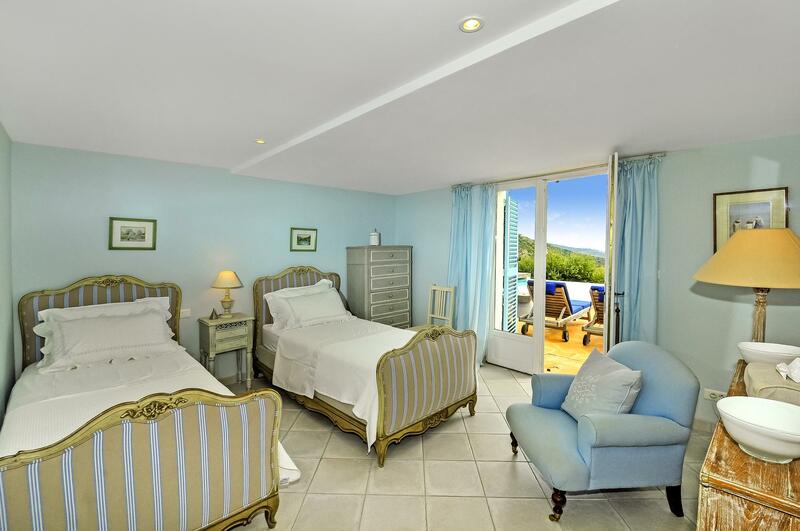 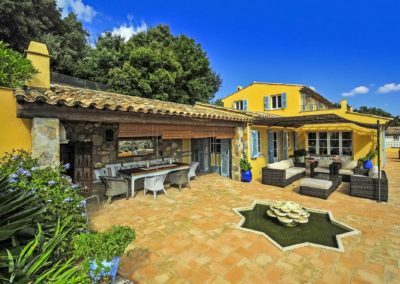 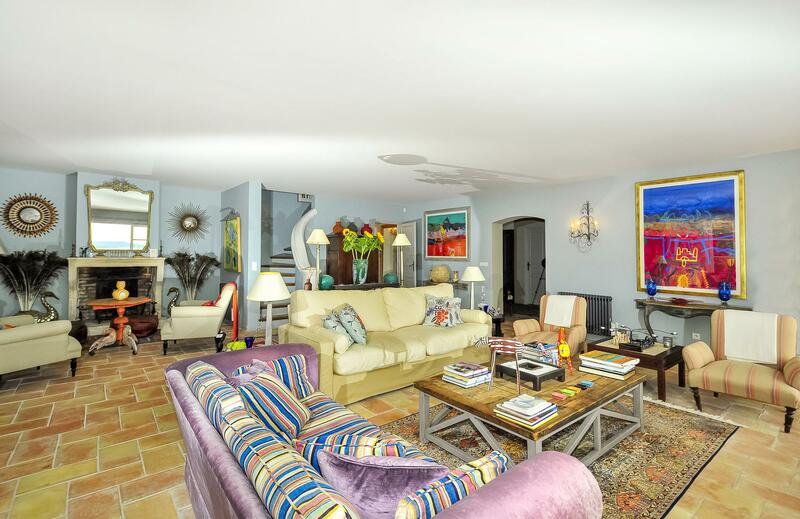 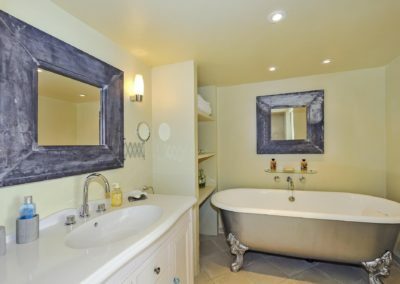 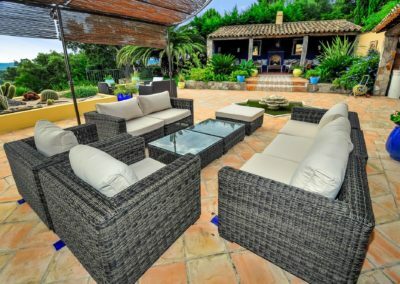 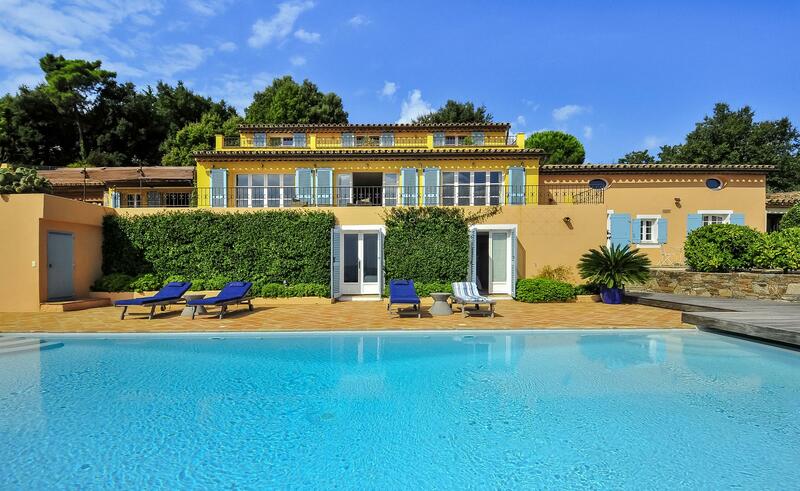 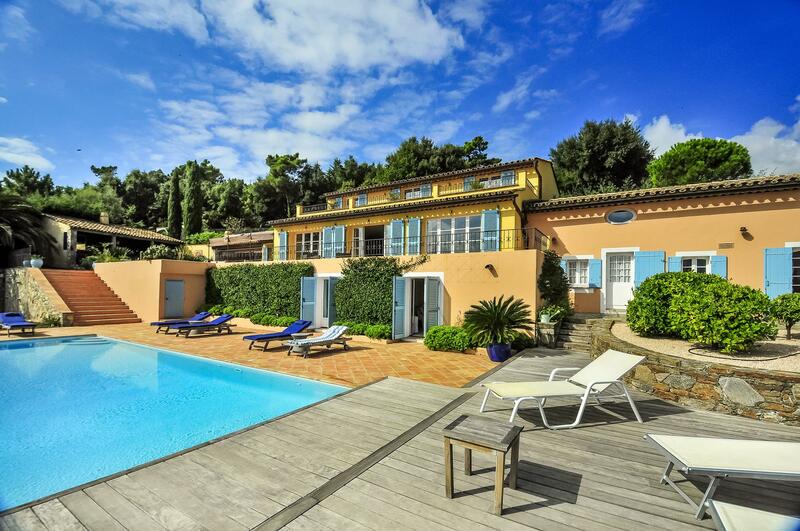 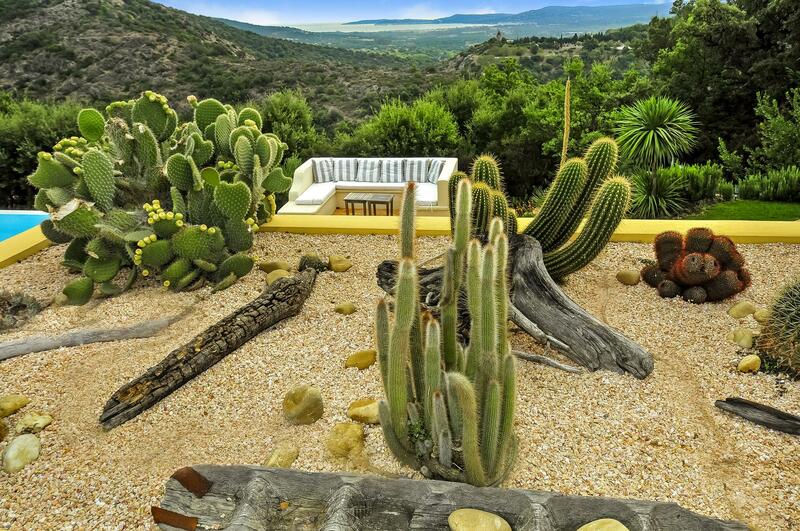 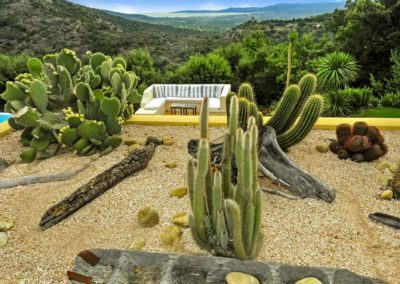 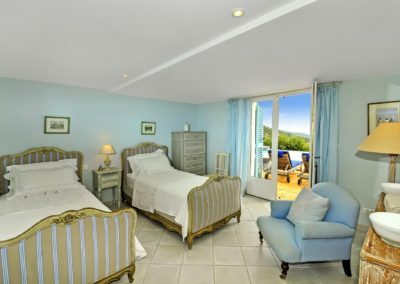 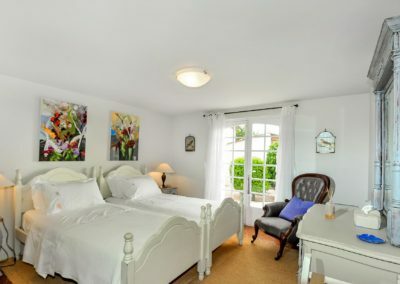 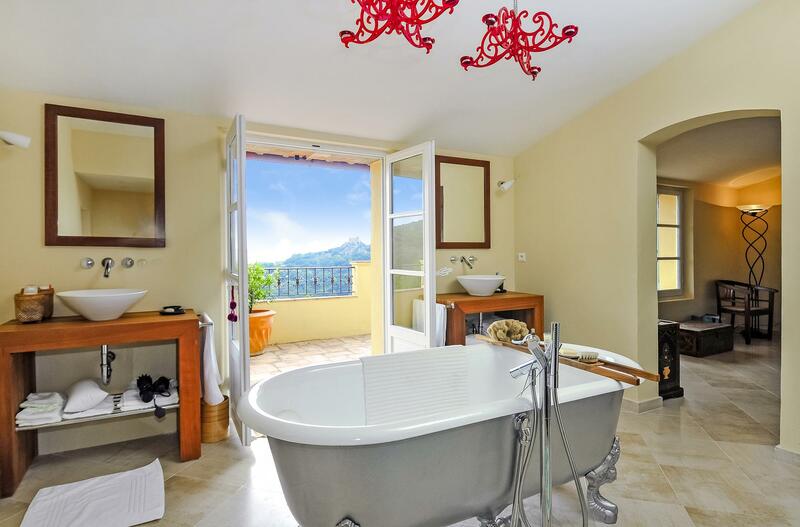 Designed for a relaxing and comfortable stay in one of the most sought after regions of France, this villa is surrounded by a generous size Mediterranean garden with an abundance of maritime pine and palm trees, ornamental plants and a variety of cacti and shrubs. 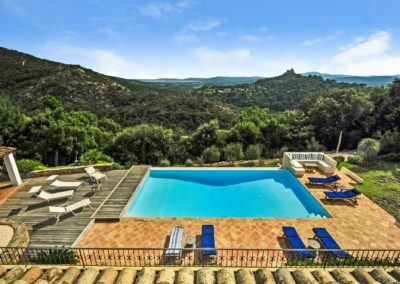 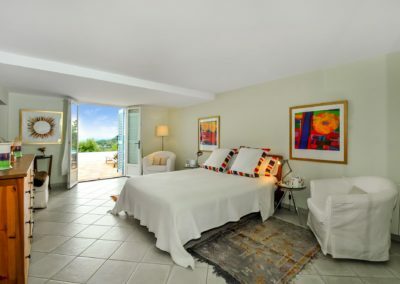 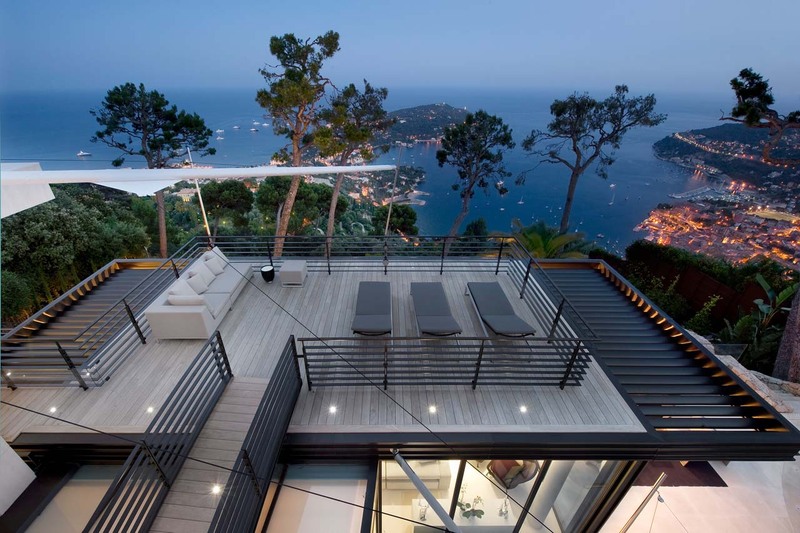 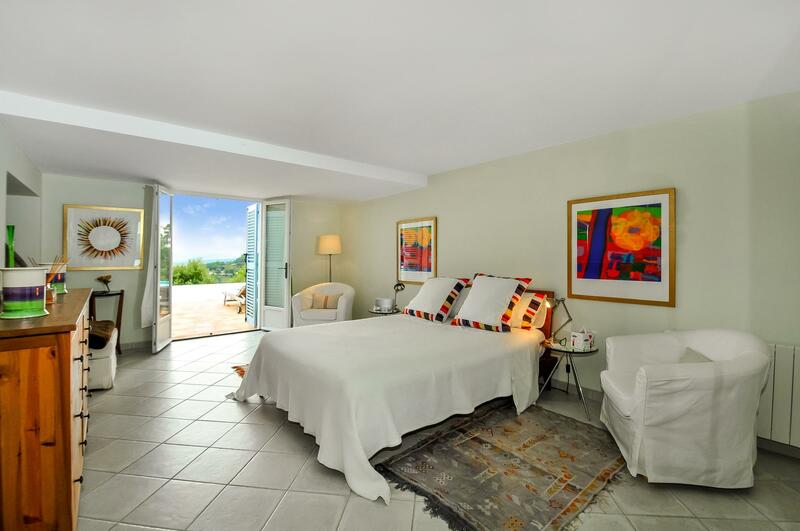 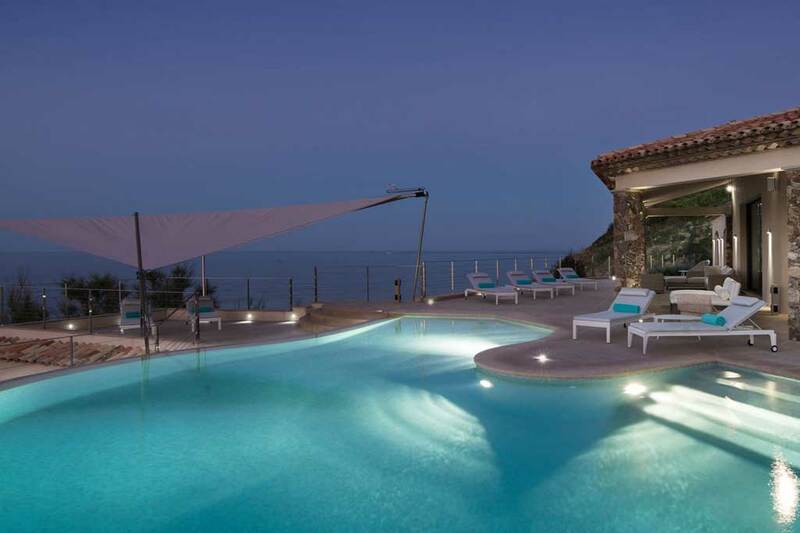 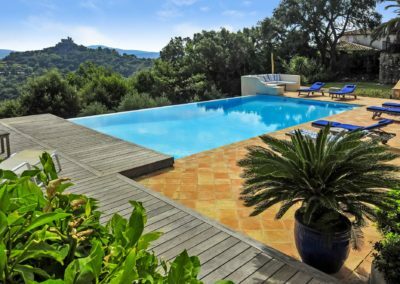 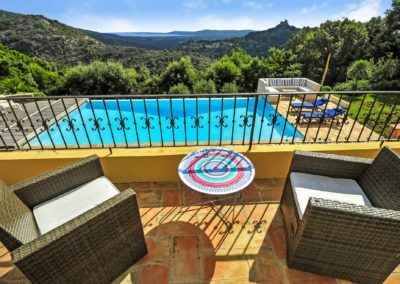 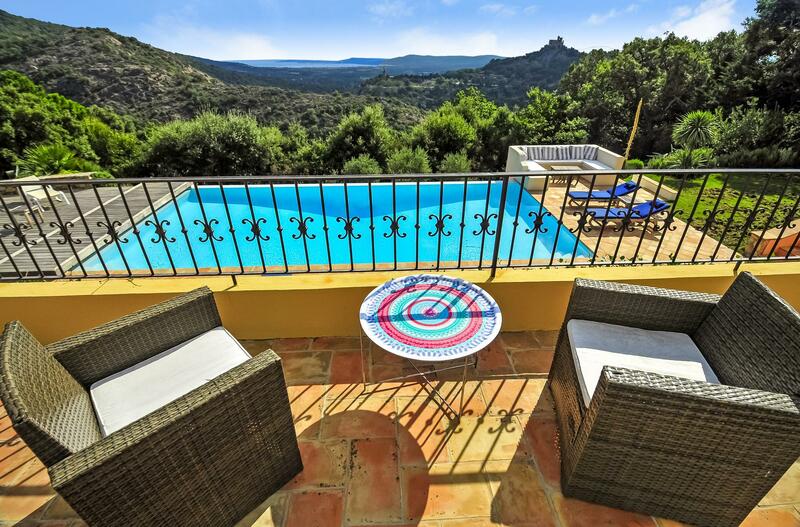 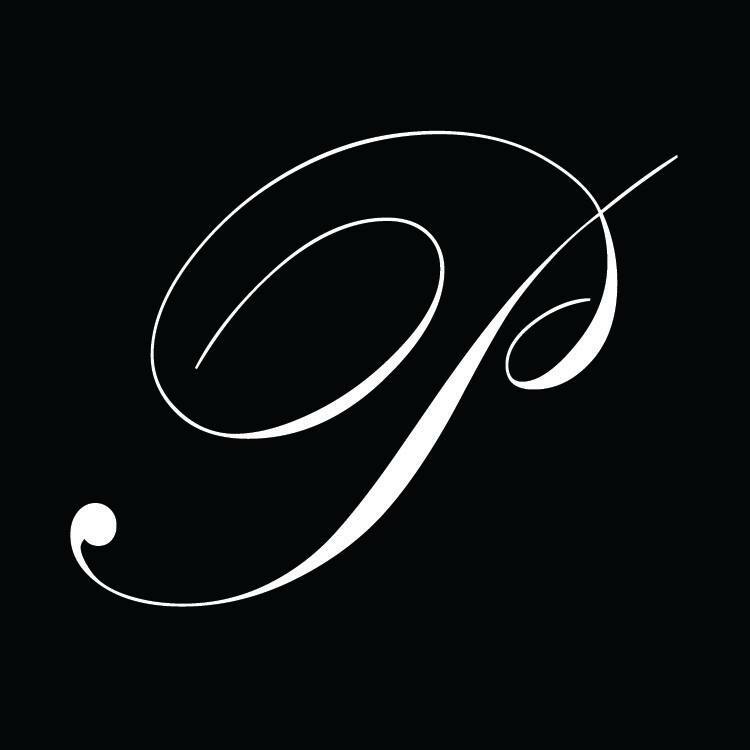 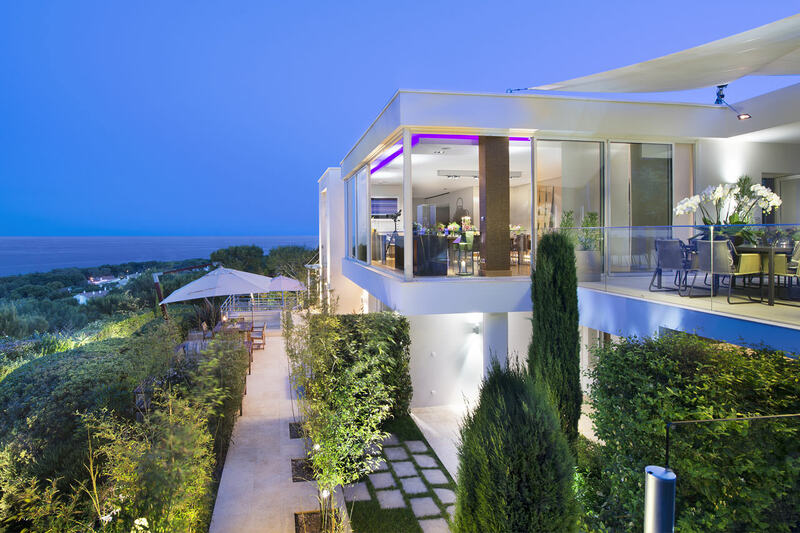 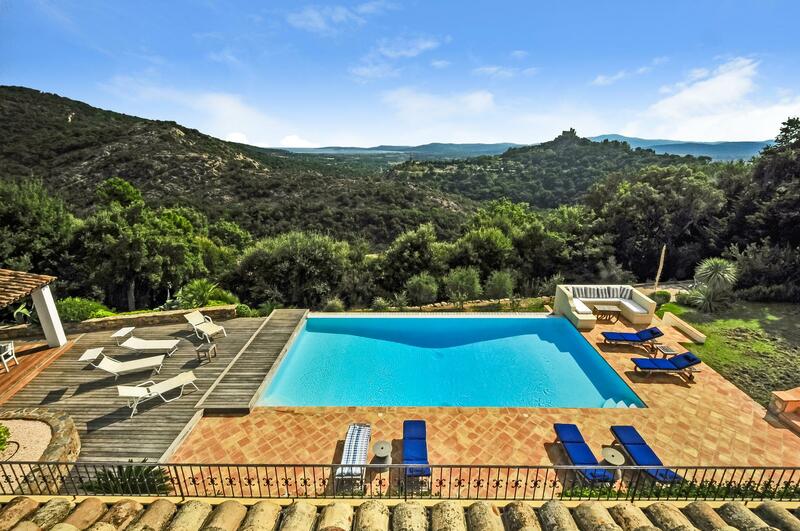 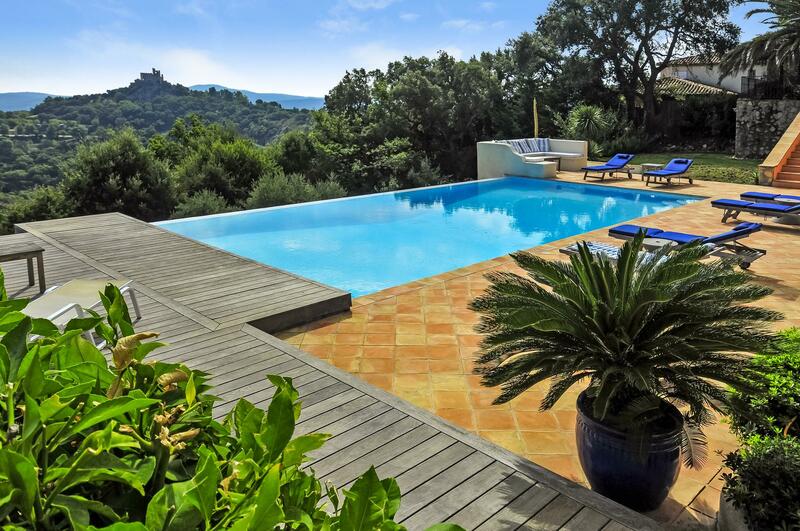 Relax in the infinity pool whilst enjoying the lovely panorama of rolling hills sloping down to the beautiful bay of St Tropez (incidentally, this was once known as the Bay of Grimaud! 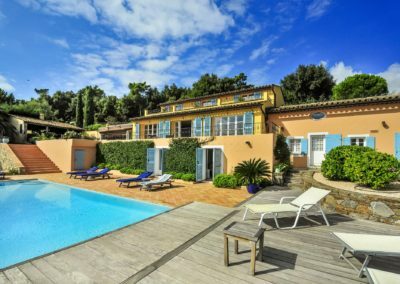 ): what better way to end a busy day spent on the beach in Cogolin or St Tropez, practising some exciting water sports or sailing along this magnificent stretch of sandy coastline. 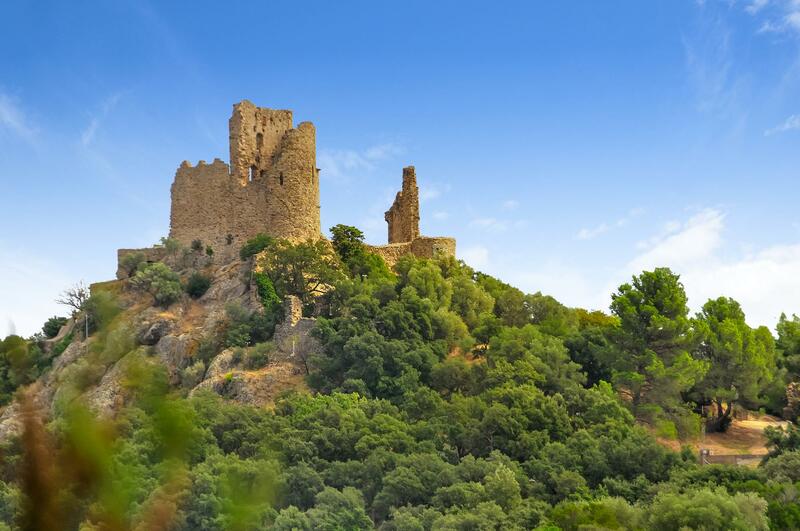 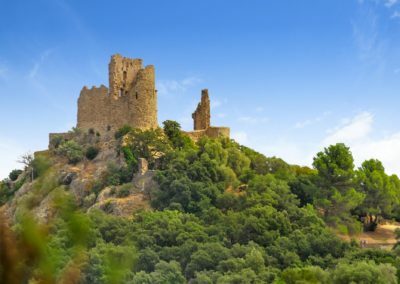 Another nice diversion before your evening meal could be the lovely walk up to the Grimaud castle ruins where the most striking sunsets will capture your imagination.